When romance calls, mere flowers won’t do. Try a relaxing massage with your love so true. 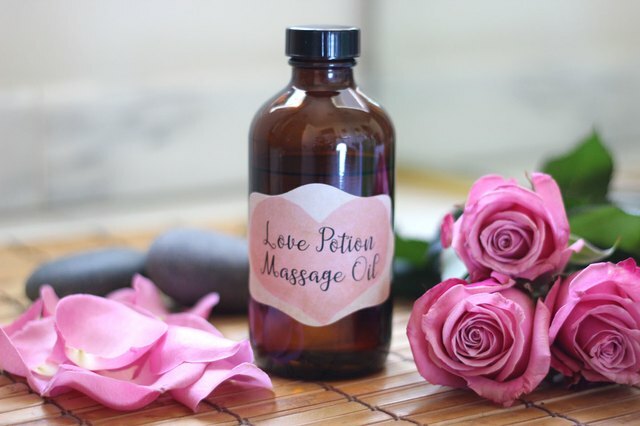 This massage oil is truly a love potion. With essential oils that will put things in motion. The blended fragrances elicit pure bliss. The aphrodisiac qualities guarantee more than a kiss. It arouses the senses as it pampers the skin. Just follow the recipe, and let the seduction begin. We are using three essential oils in this recipe, and it's important that the fragrances be balanced. Essential oils are categorized into top note, middle note and base note aromas. Top notes have a light fragrance that you notice as soon as you open the bottle, giving you love at first whiff, but the aroma dissipates over time. Base notes have the heaviest fragrance. And bridging the two are middle notes, which lend body to the blend and balance the lighter and heavier scents. As a general rule, the proportions for a well balanced blend are 25 percent top notes, 40 percent middle notes and 35 percent base notes, but how much you use really depends on your preference. A carrier oil is the base to which you will add your essential oils. The carrier oil is used to dilute the powerful essential oils, and it performs the moisturizing function of the massage oil. 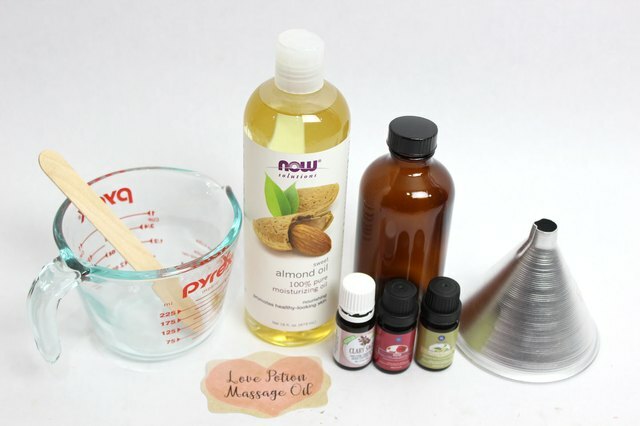 This recipe uses sweet almond oil, which nourishes the skin with antioxidants. Other carrier oils are grapeseed, jojoba and sunflower. 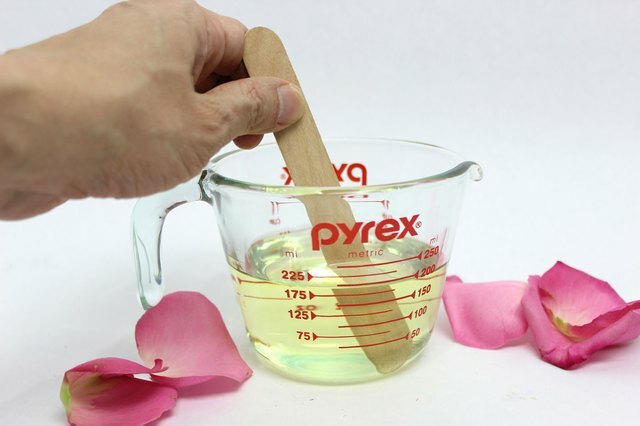 Pour the carrier oil in a measuring cup. The amount is determined by the size of the bottle you are using. 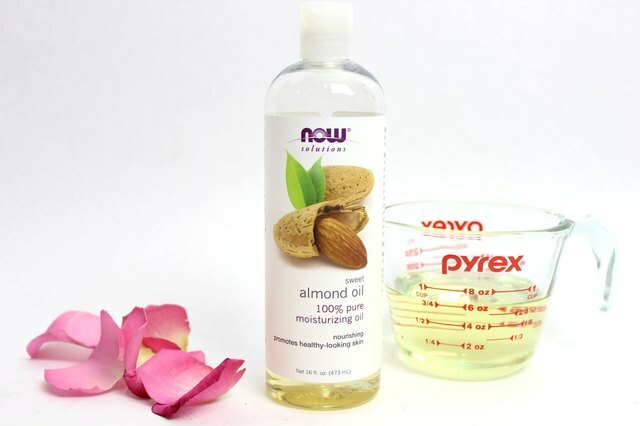 If you have a nut allergy, use another carrier oil that does not come from nuts. 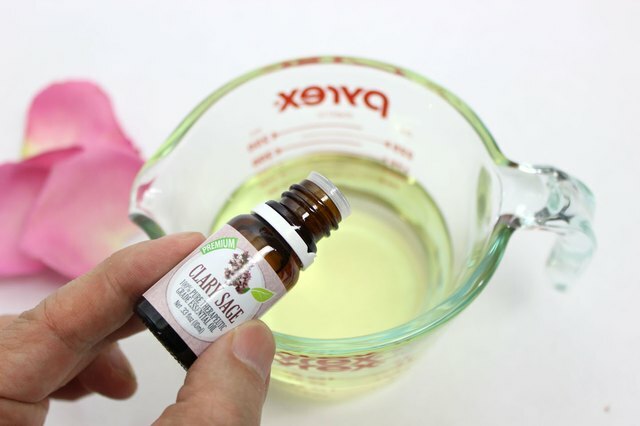 The top note essential oil for this recipe is Clary sage. Clary sage helps to balance hormones as it relieves muscle pain. Its intoxicating scent has strong aphrodisiac qualities, making one feel euphoric and stimulated. When adding essential oils to the carrier oil, do not use over 12 drops in total, even if your bottle is large. It's best to start with a smaller quantity to gauge the intensity level. You can always add more later. With our general guidelines for proportions in mind, add two to three drops of Clary sage essential oil to the carrier oil. Other top note oils are cinnamon and eucalyptus. Our middle note essential oil is Ylang Ylang. The flowers from the Ylang Ylang tree have been used as an aphrodisiac in Asian countries for centuries, displayed at wedding ceremonies and scattered on marriage beds. 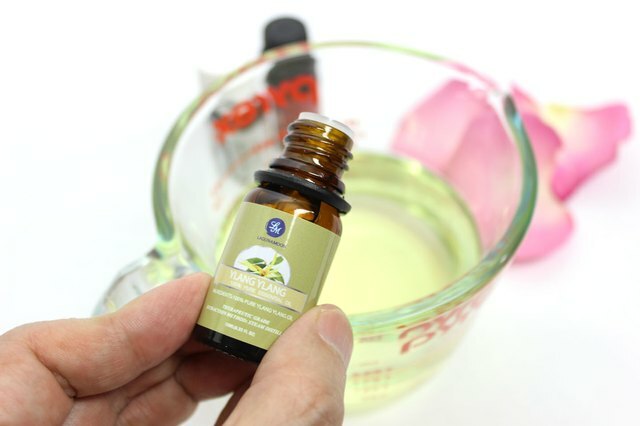 Add about five drops of Ylang Ylang to the carrier oil. Other middle note oils are chamomile and geranium. For the base note, we're using rose because it is, unsurprisingly, the essential oil of love. The rose fragrance boosts self-confidence while stirring up desire—a good mixture to spice things up. 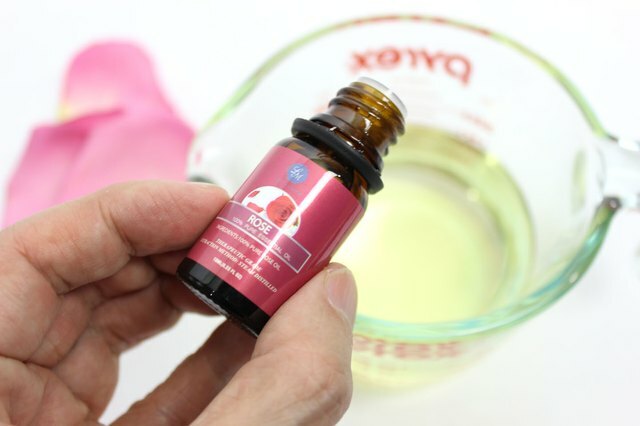 Add about four drops of rose essential oil to the carrier oil. Other base note oils are vanilla and jasmine. Gently stir the ingredients. Smell the blended fragrance of the first 12 drops of essential oils, and decide how much more you would like to add, if at all. 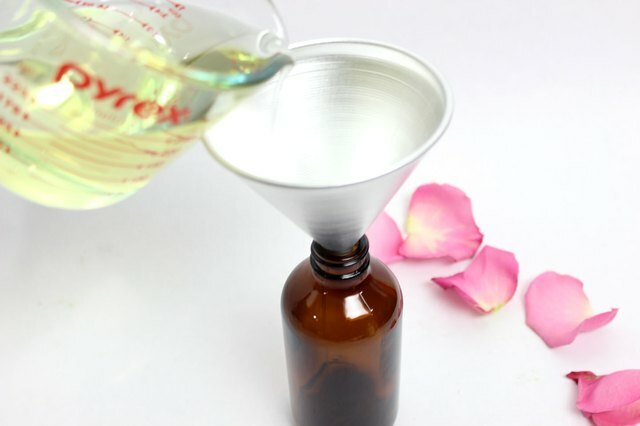 Using a funnel, pour the blended massage oil into an amber glass bottle. Amber glass bottles protect the oil from UV rays, and with glass, there is no leaching of harmful plastic materials into the oil. 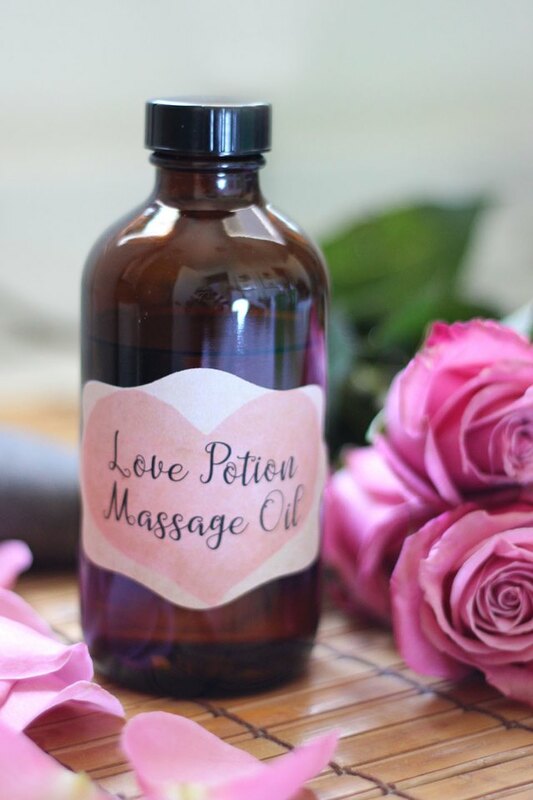 Create a label for your love potion, either hand drawn or created on the computer, and attach it to the front of the bottle with glue or a glue stick. Keep a bottle on hand in your boudoir for any time you need to add a few sparks to the relationship. Test the massage oil on the back of your hand (or your partner's hand) to make sure you have no allergies to any of the ingredients. Also, do not consume this massage oil.